C. Memmius was one of the moneyers for the year 56 BC. He was later Tribunis Plebis in 54 BC. Gens Memmia was a plebeian family at Rome. The first member of the gens to achieve prominence was Gaius Memmius Gallus, praetor in 173 BC. 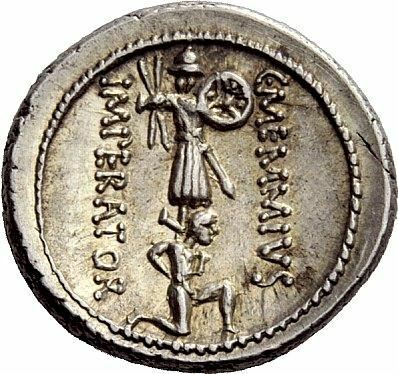 From the period of the Jugurthine War to the age of Augustus they contributed numerous tribunes to the Republic. The poet Vergilius linked the family of the Memmii with the Trojan hero Mnestheus. This late tradition demonstrates that by the end of the Republic, the gens had become a conspicuous branch of the Roman nobility.